The Monsoon products are excellent in finish and design. The Monsoon products are compatible to each other and are designed to match to each other. 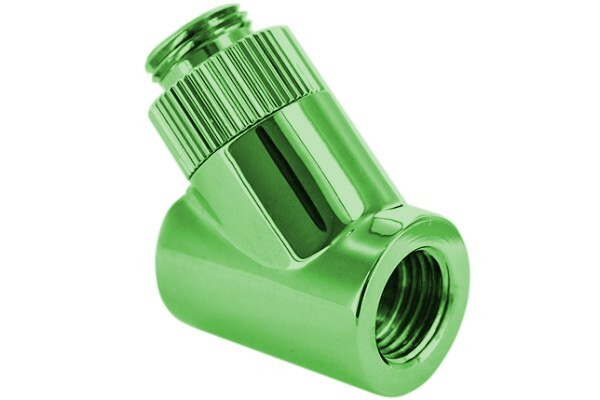 Designed to beautifully compliment the full line of Monsoon Free Center Compression Fittings. Light Port bodies for each tube size are matched to the compression ring outside diameter for a clean modern aesthetic. Brass screw plug, temperature sensor and lighing plug are sold separately, allowing you to mix and match main body and accent colors. This also allows you to change fitting and the other colors in future builds without replacing the light port bodies. Light Port body O.D. is matched to each tube size compression ring O.D. for a beautifully modern and clean aesthetic.